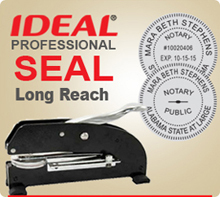 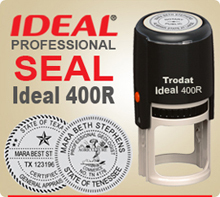 Order Trodat 46040 Professional Embossing Seals or Ideal 400R Professional Seals online. 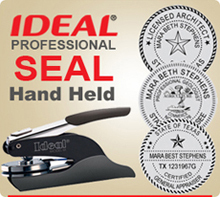 Find here also Ideal Seals with Raised and Embossed imprint. 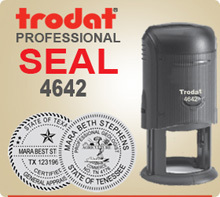 Order by 4 pm Central and we usually ship next day. Trodat 46040 and Ideal 400R have deep imprinting plates. 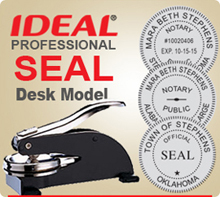 Our Ideal Embossing Seals make a high quality impression.